The death of Dr James Harper on All Souls’ Day, 2nd November 2005 has robbed Scotland of one of the most successful and distinguished psychiatrists of his generation less than two months after the celebratory events associated with his 90th birthday. Born, 17th September 1915, in the beautiful, unspoilt parish of Tynron, Dumfriesshire, James Harper was one of two boys and a girl born to a farming father and a schoolteacher mother. At the age of nine years James moved with his family to the Channel Islands. Academic success attended him throughout his schooling at Elizabeth College in Guernsey and his later university studies. He graduated in medicine from Edinburgh University in 1939, where he won the prize in his year for Anatomy. There followed appointments as House Physician at Ayr County Hospital and Assistant Physician at the Royal Edinburgh Hospital. War-time service in the RAF as a Medical Officer with bomber squadrons in U.K., Libya, Tunisia and Italy lasted from August 1941 to August 1946, in the course of which he received the military honour MBE in 1945. At the time of demobilisation his rank was that of Squadron Leader. A later association with the RAF came with his appointment as Civil Consultant in Psychiatry in 1967–1975. A return to civilian life found him taking up registrarships in London, firstly in Neurology at the National Hospital and then in Psychiatry at Maudsley. He was awarded a Diploma in Psychological Medicine (DPM) from London University in 1947. The opportunity to return to his native Dumfriesshire arose in 1947 when he joined the staff of Crichton Royal Hospital, the scene of considerable pioneering work and research in the psychiatric field. He rose through the ranks from Assistant Physician, to Consultant Physician, to Deputy Physician Superintendent and finally to Physician Superintendent 1957–1966. He is remembered with affection as a firm, fair, genial and understanding colleague, administrator and above all a chief, who allowed his staff freedom to develop their own initiatives. On arrival at Crichton Royal James Harper met an attractive young Psychiatric Social Worker, Marie Hodgson, also on the staff. They were married in June 1948. At the time of leaving for their honeymoon they were employees of the Crichton Board of Direction; they returned as employees of the National Health Service formed on 5th July. Dr Harper’s work at Crichton was associated with moves, fairly innovative at the time, to open wards hitherto locked; the establishment of specialist geriatric units in which a staff team would be involved in case studies; allowing patients maximum freedom to express their individuality; encouraging maximum support and communication with the wider community. In 1966 Dr Harper was appointed Medical Director at St. Andrew’s Hospital, Northampton, which he served for nine years. Retirement was cut short by the invitation to become a Lord Chancellor’s Medical Visitor, which entailed visiting discharged patients throughout the country. He held this position for three years until December 1978. 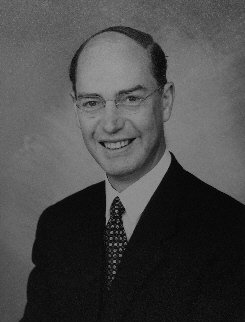 During his long and distinguished career, James Harper served on a number of committees: member of the Scottish Health Services Council 1965–68; member of the Scottish Medical Advisory Committee 1965–1968; member of the Home Office Advisory Board on Restricted Patients 1973–1984; Chairman of the Dumfries and Galloway Division of the British Medical Association 1965–1966. His pastimes with the family included hill-walking and sailing. Reading, history of medicine, gardens, natural history and antiquarian interests all added to his enjoyment of life. This society was an ideal vehicle for such interests: joining as a member from the time of his return to Scotland in 1947; his paper on ‘The Early History of Crichton Royal’ appeared in volume 33 of the Transactions and he served as Honorary President 1956–1959. Ever willing to assist with society matters he was latterly very proud to have been our most senior past-presidential Fellow.